This beautiful black long Kurti with leggings is suitable for casual wear. 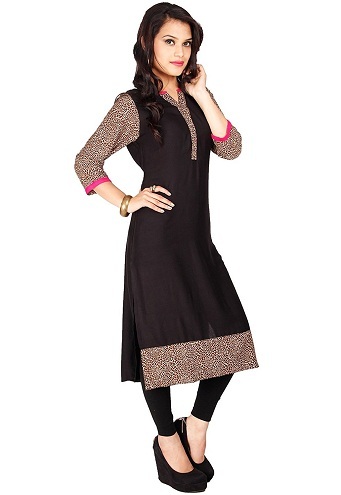 The black long kurti leggings with animal print for sleeves and the borders gives it a nice ethnic look. It has three fourth sleeves and is made of viscose material. It has a V neck and the black leggings adds to its fashion value. 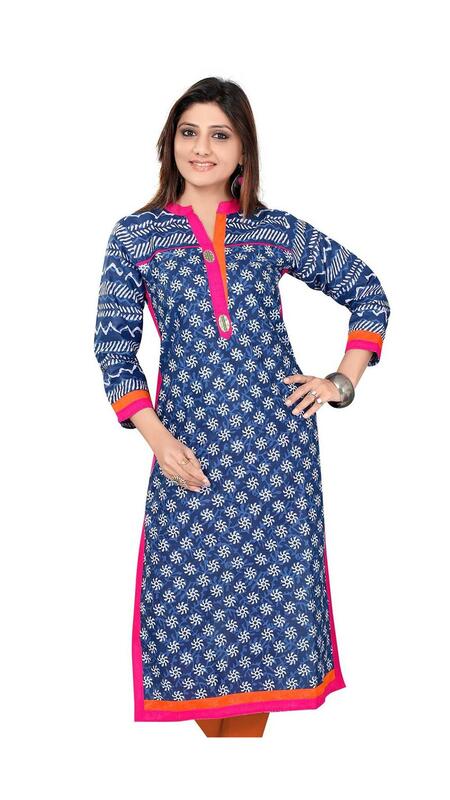 A lovely blue kurti with white leggings. It has three fourth sleeves and a boat neck. The blue kurti which has light blue detailing looks very fashionable. It is a perfect casual wear. It is made of cotton and looks very comfortable and soft. A multi color kurta with brand collar. It has three fourth sleeves and has bold floral prints on it. This looks very casual and fashionable. It is a A line kurta with flared bottom. Team it up with a pair of nice leggings and this adds to your grace. Best suited for parties. A beautiful magenta kurta which looks very traditional. It has three fourth sleeves and sweet heart neck shape. The lovely ethnic prints add beauty to the kurti. The mustard leggings suit well. It can be worn as casual wear and for offices. A light green kurta with white leggings. 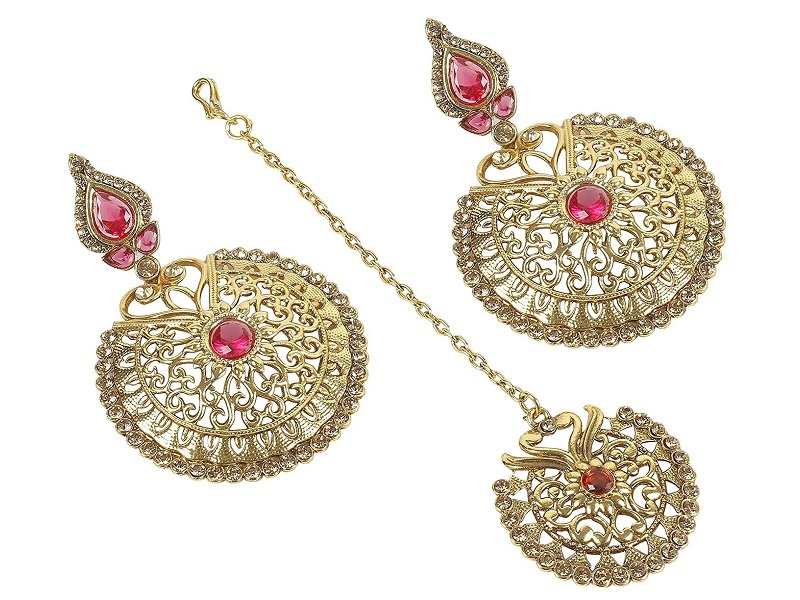 It is ideal for casual wear. The green printed long kurta and leggings makes others go green with envy. Add this to your collection. It is made of cotton and has three fourth sleeves. The tying detail at the neck looks so stylish. A lovely kurta made of viscose material. It has three fourth sleeves and the printed kurti looks so stylish. The beige color gives an ethnic feeling to the kurta. 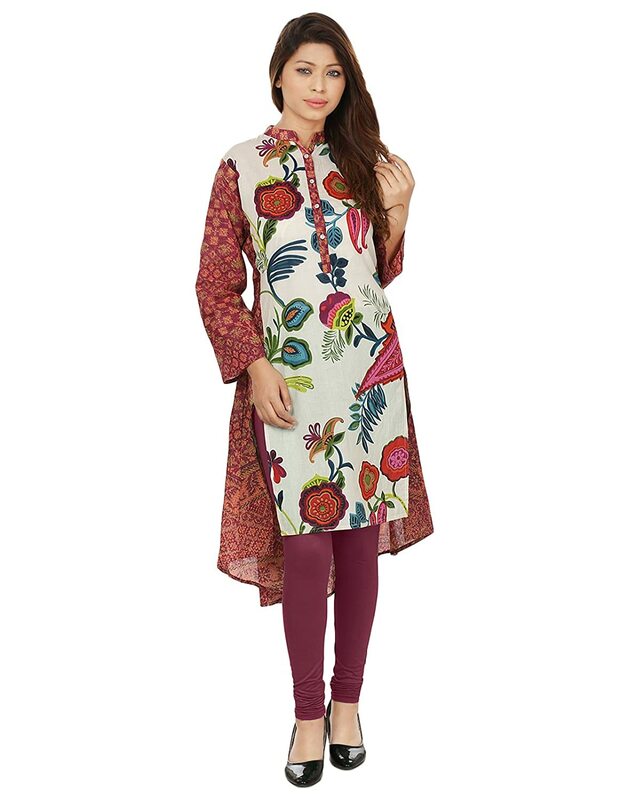 The beautiful peacock print of the kurta gives an ethnic twist. Pair it up with black leggings. Get ready to rock the party. A superb green kurti with three fourth sleeves. It has roll up sleeves. The red combination with the green kurti adds to the beauty. It has a boat neck. It is made of crepe and the material is very soft and light. 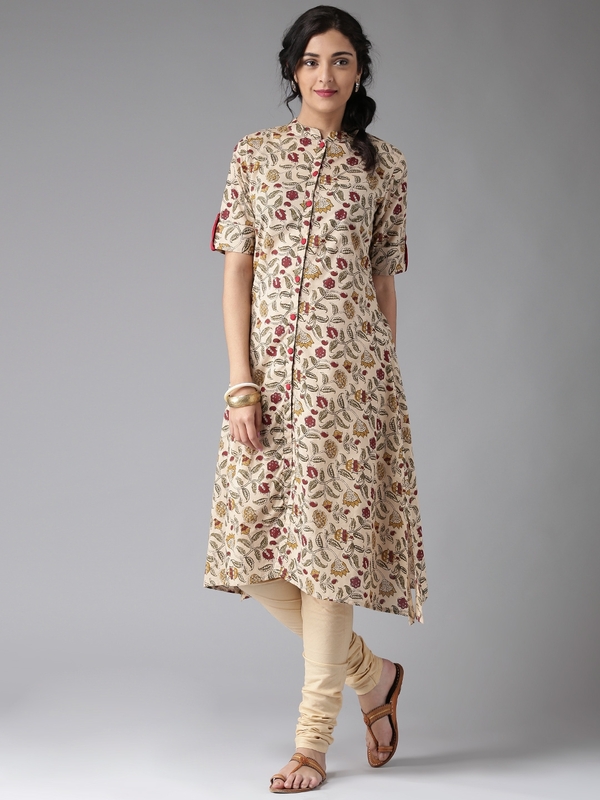 This long kurta with leggings are right for casual wear. Pair it up with red leggings. This charming pink embroidered long kurti and leggings is suitable for all the casual events. The sleeveless kurti looks very stylish. The embroidery work on the kurti is beautiful. Pair it up with white leggings. 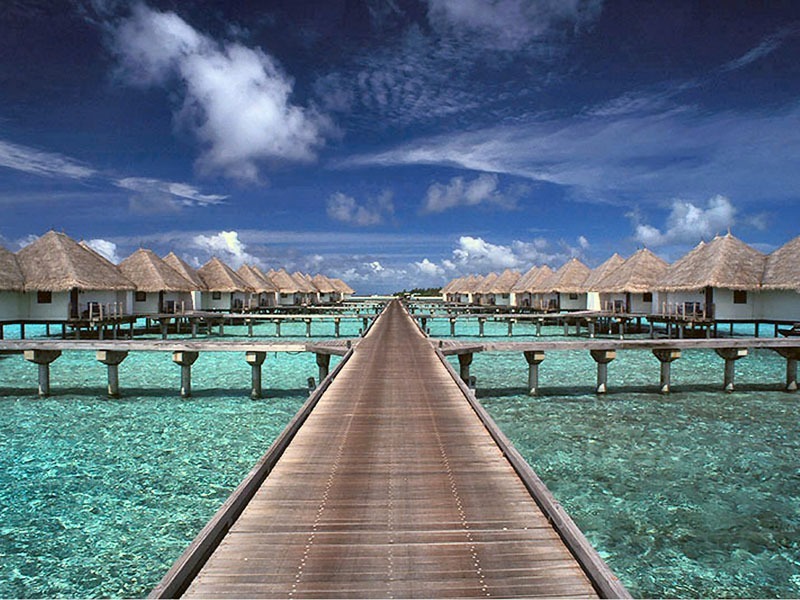 It is made of rayon and is easy to maintain. 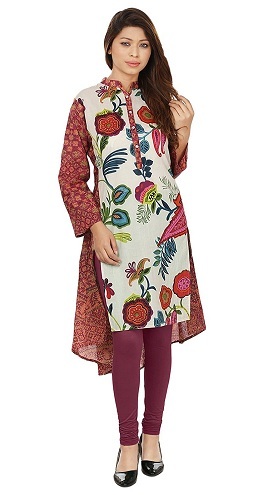 These long kurtis with leggings are suitable for casual wear, office wear, parties and social gatherings. Have a nice collection of these fashionable kurtis and flaunt them in style.